Another TTK tradition starts here, as we’ve got our very first guest writer. Ashley McDuffie was the winner of our “Salt Lake Shuffle” contest and received a FREE entry into the Big Cottonwood Half Marathon. 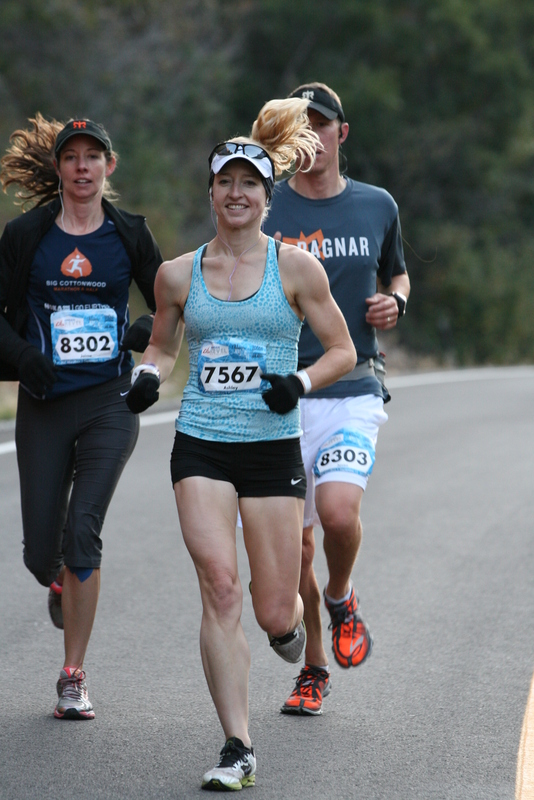 She let her inner speed demon loose as she ran the race in a “damn fast” 1:26:36 (6:37 min/mile). I had hoped to bump into her on the course, but clearly all I would have seen would have been her vapor trails as she rocketed by. Well, Ashley’s put together her review of the race (along with some snapshots). So, take it away Ashley! 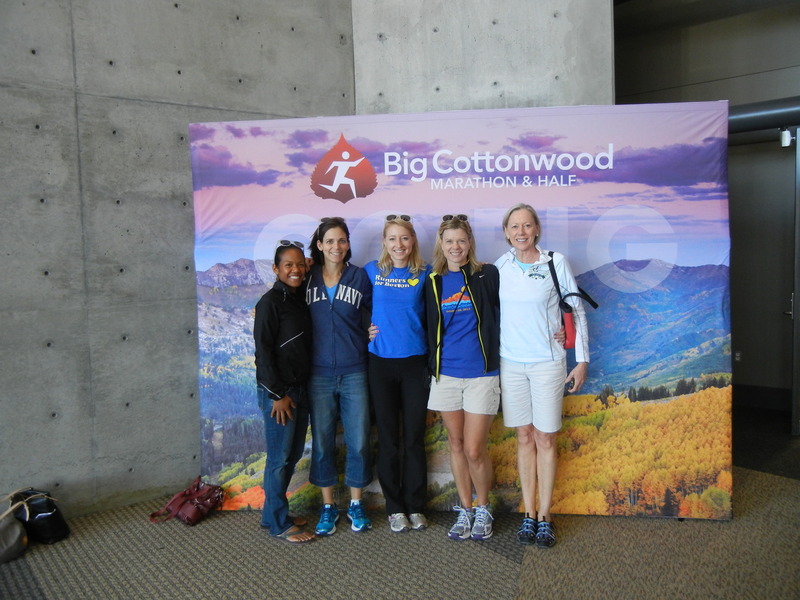 My girlfriends and I had a wonderful time GOING BIG at the Big Cottonwood Marathon and Half Marathon this year! It was a very unique and runner-friendly race that I would highly recommend! I enjoyed my experience so much that I plan to return with my husband next year! The expo was a little far away from our hotel but was well-organized, easy to get through, and had everything we needed. I loved my long sleeve race shirt (<$5.00 upgrade) which had the thumb holes! I took advantage of the free exchanges to get the perfect fit as well! The gear check bags with our name and phone and bib numbers already on it was a nice perk! Our hotel (Hyatt Place) provided a special early runner’s breakfast and charter bus transportation right to the half and full marathon start locations. There were plenty of porta-potties and gear check up there. It was chilly but we made use of the mylar blankets provided at the expo! We started approximately 25 minutes later than expected due to some late arriving buses but they kept us well-informed of the delays so we could keep on our warm outer layers as long as possible. The downhill course was fast and absolutely beautiful! The views were quite breathtaking and I love that I could capture that amazing feeling and experience with the complimentary race photos of me flying down the mountain! The downhill is fast but definitely harder on your body and I started feeling it and slowed a little during the last few miles. Nonetheless I still came away with a 7 minute PR on the half marathon course and a New York marathon qualifying time to boot! Although I must say that I was much more sore the next few days than I have ever been from most of my full marathons!! Post-race food was varied and plentiful and the medal were BIG! I also really loved receiving a printout of my results on a high-quality stock paper to commemorate my experience. I was able to go back to the 23 marathon mile marker and run one of my friends in as well. While unfortunately we did not come away with any BQs that day, we still had a great ladies weekend and overall satisfying running/racing experience. And FYI, we’ll be having a contest on TTK coming up in October for a FREE race entry into the REVEL Canyon City Marathon/Half Marathon (Nov. 15th in Azusa, CA). So keep checking back here for info. Have a great day… and Run on! 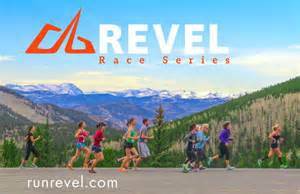 Posted on September 26, 2014, in General, Guest Writer, Race Review, REVEL Big Cottonwood, REVEL Race Series and tagged Revel Big Cottonwood. Bookmark the permalink. 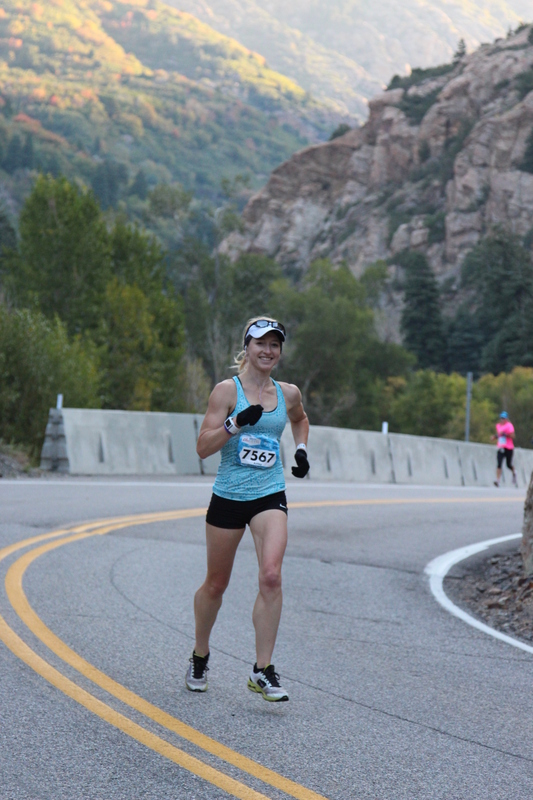 Comments Off on GUEST REVIEW: BIG COTTONWOOD HALF MARATHON.